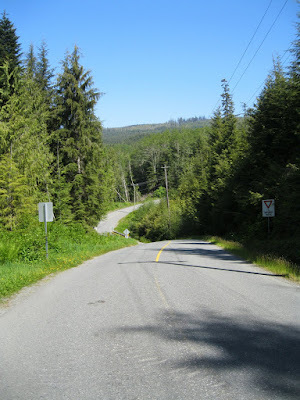 Port Renfrew to Victoria...on brakeless track bikes. The 110+ km route took us on km's and km's of narrow winding coastal highway. Definitely one of the most challenging day rides I have ever done. After surviving Simon's early morning shuttle to Port Renfrew and his more than apparent "love for the open road" we had already completed the scariest portion of our journey. Kilometers and kilometers of this! Vancouver Islands own form of "Pave"
Check the Capital City Cycles for Halldor's photos and recap.